The fiscal year that ended on October 31 has been one of the better ones for SAS in recent years. Revenues rose from to SEK 44.7 billion (€4.37 billion) from SEK 42.6 billion – an increase of 4.8%. 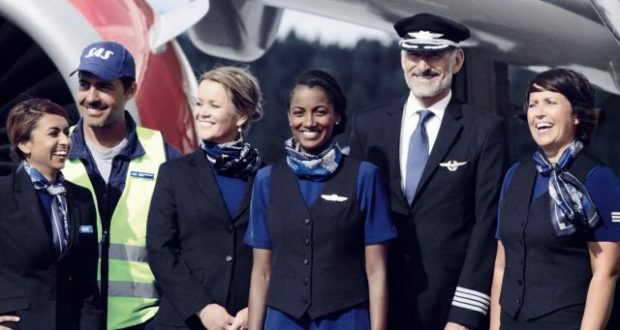 Likewise earnings were rosy, with the airline posting a profit before tax and nonrecurring items of SEK 2.13 billion (€209 million) for the 2017-18 fiscal year, Check-In.dk reports. Positive factors impacting the results have included higher ticket prices and increasing occupancy in the aircraft, forming the basis for earnings growth. At the same time the result is being performed in a challenging environment with rising fuel prices throughout the year, so there is reason at SAS to be satisfied with the result. Employees have been angered over the years by various cuts, so SAS has decided on this occasion to pay out SEK 100 million as a one-time bonus to be distributed among the company’s employees. “I want to take this opportunity to thank SAS employees for their dedication. It has been an intense year and we have delivered a strong result,” comments the airline’s chief executive, Rickard Gustafson. The prospects for the new 2018-19 financial year are not so bright, however. SAS expects a wider loss in the seasonably poor first quarter compared to the same period last year. But for the whole financial year, the airline anticipates “a positive result before tax and extraordinary items” – a forecast based on there being no unforeseen events or drastic changes in the business environment. “Despite a successful year there are always movements in the environment in which we operate and we cannot afford to be complacent,” Gustafson cautioned.